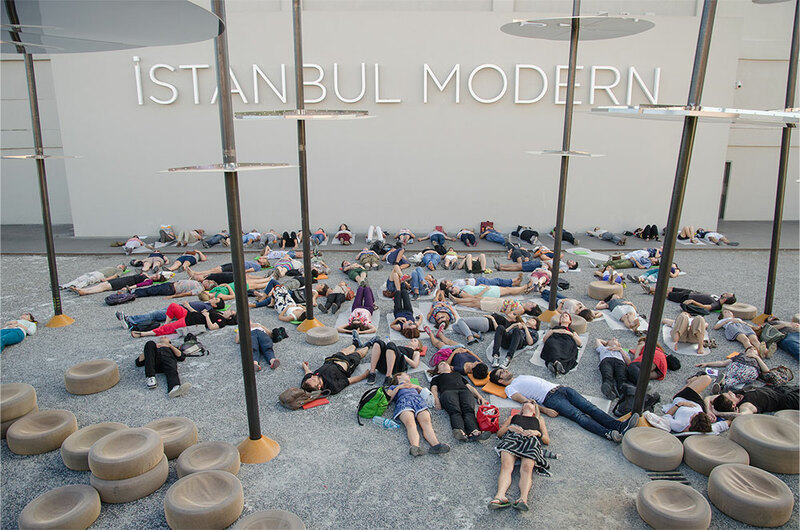 Silent Sky Project#54 August 22nd 2013, 18.09 – 18.39 pm, 83 participants, Istanbul, Turkey. 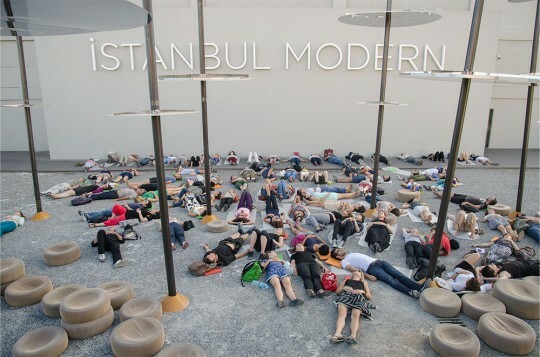 A group of people connected to the International Performance Association: IPA and Istanbul Museum of Modern Art looked at the sky in silence in the center of Istanbul. 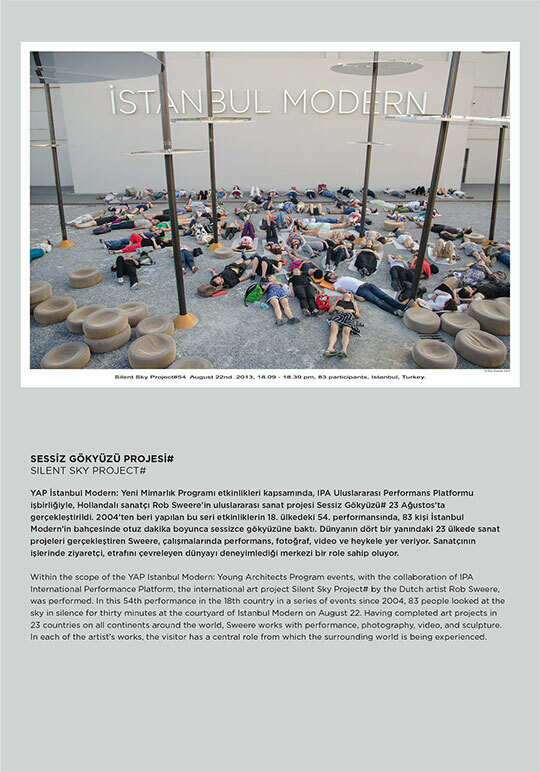 In the museum’s courtyard, the Silent Sky Project# made a connection with the project Sky Spotting Stop, implemented within the scope of the Young Architects Program in collaboration with MoMA/ MoMA PS1. Thanks to: Burçak Konukman – curator IPA & Çelenk Bafra – curator Istanbul Modern. 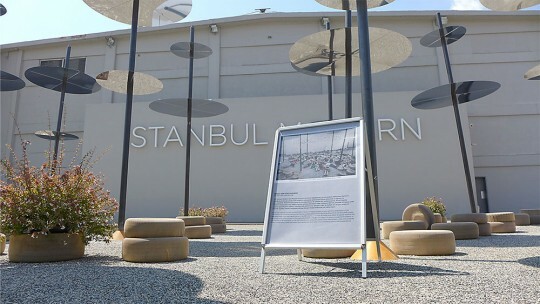 Two days after the performance had taken place, the photo and the text were exhibited in the courtyard of the museum. 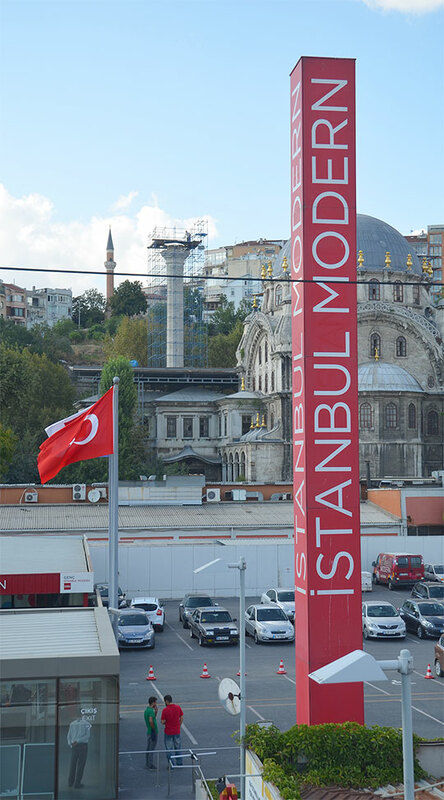 Computerprint 70 x 100 cm. 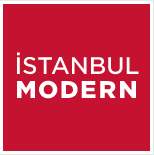 Thanks to: Çelenk Bafra – curator Istanbul Modern & the staff of the museum.